This is a good article, and I agree with the assessment that he has been better than his ERA suggests, and the outfield defense behind him has been a big reason for that. But I have a question about xFIP. 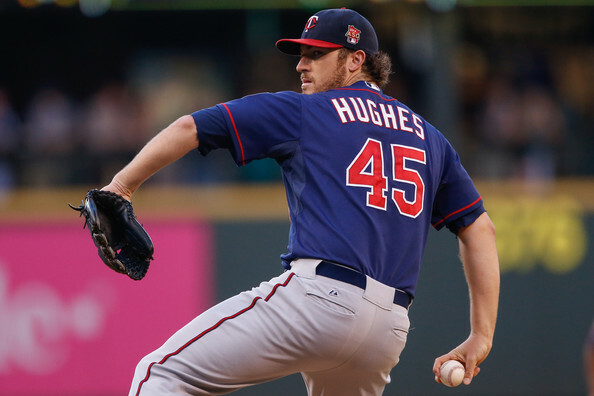 Does it have any adjustments for pitchers who throw a higher percentage of strikes, like Hughes? Wouldn’t it be reasonable to suppose that part of the reason his BABIP is higher is because he throws more strikes and batters don’t expect to get walked? Everyone knows the scouting report on Hughes, and teams make adjustments to swing more. You said (and it seems to be true) that he has basically decided to stop walking guys. And he has said himself that he would rather make a mistake over the plate than out of the zone, which is contrary to how most pitchers work. It seems that one of the negative side-effects of fewer walks is more hittable pitches, which would naturally raise his BABIP, right? With an average outfield defense behind him, I do think it is reasonable to expect him to give up fewer runs, but I don’t think we should expect his ERA to dip quite as low as his xFIP would suggest, unless I’m misunderstanding xFIP.